I saw the first film before I read the books, so all I knew about Quirrell's character was from his scenes in the movie. It didn't occur to me that he was more than what he appeared to be, and I was surprised when he turned out to be the villain and not Snape. For me, Quirrell provided quite the plot twist, and the fact that Voldemort had taken up residence on the back of his head demonstrated that even in his weakened state and without his own body, the Dark Lord was still very, very much a threat. Harry Potter Film Rewatch 2016 has been wonderful so far (and will require a part 2 to be continued next year, I think, due to lack of time to watch the remaining movies). We've arrived at my favorite out of all eight films: Prisoner of Azkaban. Even if PoA weren't already my favorite book, too, I'd still rank this movie #1. 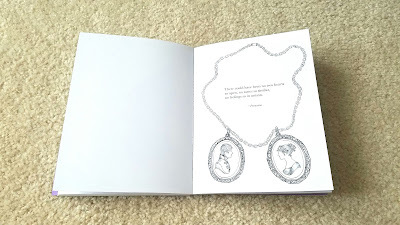 To me, it just absolutely nails the tone of the book and reflects the evolving maturity of our beloved trio. Oh, and let's not forget the brilliant introductions of two of my all-time favorite characters from the books: Remus Lupin and Sirius Black. I love how gloriously unruly Harry's hair is in this one. What can I say? It's the little things with me, LOL. The Knight's Bus sequence is pretty cool, too; I wish I could navigate my car through such tight spaces like that! It's a good thing that PoA has some humorous moments in it because AAAHHHH—the dementors! Man, those creatures are scary! Even though I knew Harry and Sirius were going to be OK, I still felt on edge watching the dementors close in on them. Harry yelling, "EXPECTO PATRONUM" with such fierce determination is one of my favorite scenes across all of the films. Other highlights of the PoA movie for me are the appearance of the Marauder's Map—and Harry's snarky response to Snape when the latter catches Harry roaming the halls at night with it—and, of course, two of the Marauders themselves. Lupin is very much the inspiring teacher and kind soul I pictured in the books. As for Sirius, damn if my heart doesn't splinter every single time when he reminds everyone inside the Shrieking Shack how long he spent in Azkaban. Something else that I think the film captured perfectly is Sirius's rather quick transformation from extremely dangerous criminal to wrongly imprisoned man. All of the acting performances in the Shrieking Shack scene are so top-notch; I would've given anything to be a prop cobweb just to be in the presence of such fine acting. I am the worst TV/movie binge watcher, so I'm really proud of myself for now having rewatched two of the HP movies, LOL. And I even stayed awake for all of this one (again, this is in no way any fault of the film's; it is entirely due to my old age)! After being totally, utterly, and completely captivated by the Sorcerer's Stone film, I immediately got caught up on all of the books that were available at the time (4) and so was all set for the Chamber of Secrets movie adaptation. I remember checking the Internet—a lot—for any tidbit of news about the film. I also stalked HBO's schedule because I knew they aired short features on upcoming theatrical releases. My stalking skills were rewarded when they spotlighted CoS! As with Sorcerer's Stone, it'd been some time since I last watched CoS, and also as with SS, it was a delight to experience it all over again. Well, maybe not so much the hideous spiders, which I'll get to in a few. I still giggle when the pudding goes splat on Mrs. Mason's head at the beginning of the movie, thanks to a little fellow named Dobby. I just love the expression on Harry's face when he meets Dobby for the first time. Speaking of love, I adored the scenes at the Burrow and all of the details, like the pots magically cleaning themselves (if only that happened in real life) and the clock with all of the Weasley family members on it. The home looked so cozy, and like Harry said, it was brilliant! Something that I thought all of the films did extremely well was introducing new characters, whether they were created through the magic of special effects, like Dobby, or played by actors. In CoS we've got Kenneth Branagh's preening Gilderoy Lockhart and Jason Isaacs's sneering Lucius Malfoy. We also meet Professor Sprout and Madam Pomfrey, as well as Moaning Myrtle. I have to say, Moaning Myrtle's bathroom looks really creepy; I would not want to touch anything in there, let alone brew Polyjuice Potion that I would actually have to drink later, LOL. And now we come to some super terrifying stuff: THE. SPIDERS! I really, really hate bugs, so ginormous spiders? NO. THANK. YOU. Seriously—I'd rather hang out with the basilisk than with Aragog and his family. It's one thing to visualize that scene in the Forbidden Forest in your head when you're reading the book, where you can set the horror level yourself. It's a complete other thing, however, where you can see these monsters on a big screen, charging at poor Harry, Ron, and Fang. To this day, I sort of avert my gaze during this scene. Watching CoS is always a bittersweet experience, as it marks Richard Harris's final appearance as Dumbledore. I love his Dumbledore with all my heart, and his chat with Harry in his office following the events in the Chamber is especially poignant. I still find the ending of this movie a bit awkward, when a Hagrid lovefest spontaneously breaks out in the Great Hall. I mean, I love Hagrid, too, but it was Harry who defeated the basilisk and diary Riddle and Fawkes who healed Harry and flew everyone out of the Chamber, LOL. What are your favorite moments from the Chamber of Secrets movie? Harry Potter Month: Back to School at Lego Hogwarts! When I found out that playing the Lego Harry Potter video games would count towards House Cup points, my reaction was, "YASSSS!!!" Not that I need any motivation to play them because I LOVE THEM SO MUCH! I've been playing the Lego games since Lego Star Wars: The Complete Saga and have played a number of other Lego titles, including three Batman games, Pirates of the Caribbean, and two Marvel games. They're all an incredible amount of fun, which is why I keep playing them despite being way, way past the target age group, LOL. Lego HP, however, reigns supreme as my favorite. It is a completely immersive experience as you reenact key moments from the books/films—all in Lego form, of course! You get to experience Harry, Ron, and Hermione's adventures from the beginning! 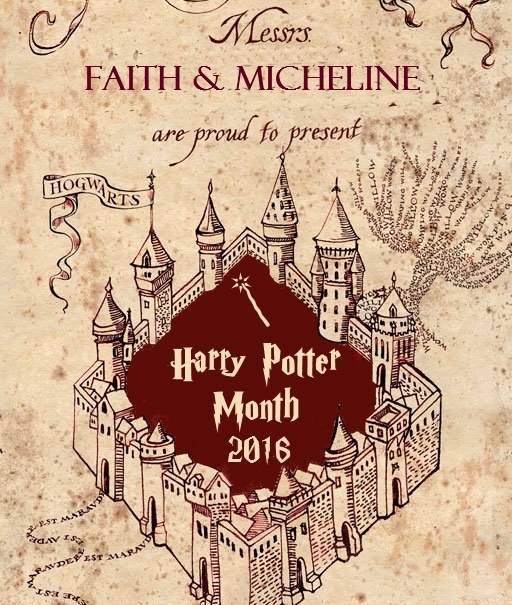 Not only do you play through major events from each book/film, but you also get to explore Hogwarts and attend lessons! Some places are even inaccessible until you learn the necessary spell or skill. For example, in year one you learn Wingardium Leviosa with Professor Flitwick, and in year two, Professor Sprout teaches you how to handle mandrakes properly. There are wardrobes all over the castle so your character can grab a pair of earmuffs for auditory protection. The fate of the wizarding world is literally in your hands as you mash those controller buttons! I'll never stop being in awe over the level of detail in the game, from the eagle door knocker on the entrance to Ravenclaw Tower to Colin Creevey following you around and snapping your photo in year two to Beauxbatons and Durmstrang students walking the halls of Hogwarts in year four. You'll also recognize quite a bit of the music from the movies. In between the gameplay, there are cut scenes that are just as fun to watch. The characters in both Lego HP games don't actually talk, which has changed in the more recent Lego titles, but I've always liked how the characters convey everything with their facial expressions and the occasional laugh, sigh, or grunt. Pick a Character. Any of the Over 150 Characters! Although you have to play through each level once in Story mode with set characters, you can replay every level in Free Play mode with any character of your choosing. Helloooo, Sirius Black! No, really, he's my favorite character to play as. ♥ I can't think of an HP character who doesn't appear in the games, and there are also some generic ones like "Ravenclaw Prefect" and "Gryffindor Girl." My favorite non-specific character, though, has to be "Shifty Wizard," LOL. 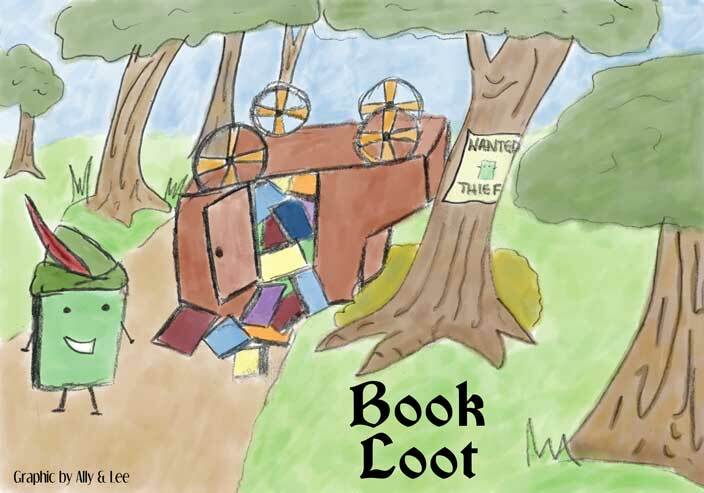 You Get to Break Stuff—with Magic! Sometimes you come home from a tough day at work/school and need to de-stress for a while. What better way than to bash virtual Lego bricks—no clean up! Breaking everything is essential in these games and how you rack up coins, plus . . . smashy, smashy! I feel an extra sense of gratification when I go ballistic on the giant spiders in the Chamber of Secrets level. Those things are scary, even as Legos! Have you ever played the Lego HP games? You've been busy travelling into other realms in your adventurings - which characters are you hoping to run into? Rhysand (A Court of Mist and Fury): If I'm going to the Night Court, I'd want the complete tour, with the High Lord himself as my guide. Zuko (Avatar: The Last Airbender): I love the whole gAang, but if I can only meet 1 character, it would have to Zuko. Jon Snow (A Song of Ice and Fire/Game of Thrones): I quickly became a Jon fan when I started reading the books, and he had a fantastic story arc on the show this past season! I'd like to congratulate him on that, plus I think he's one of the few characters in Westeros who wouldn't kill me at first sight. Alexia Tarabotti (The Parasol Protectorate): Alexia has a wry sense of humor, so I think we'd get along pretty well, and then there's the fact that we both love tea! You Can Have Lunch with 3 Characters from the Series. Who Are They and Why? It's been quite a while since I last watched Harry Potter and the Sorcerer's Stone; I always seem to catch the later films when they're on TV, lol. I've mentioned this quite a few times before, but the Sorcerer's Stone movie was my introduction to Harry Potter back in 2001. Prior to that, I had Jon Snow-level knowledge of the world of HP, i.e. I knew nothing. Seriously—absolutely zero. You know how sometimes you pick up the gist of a fandom because of its sheer popularity? Well, I didn't even manage that. So when I went to see Sorcerer's Stone, EVERYTHING was new to me. 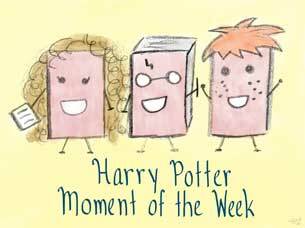 From the moment Dumbledore, McGonagall, and Hagrid left baby Harry on the Dursleys' doorstep, I was utterly engrossed in the story. I remember being appalled by the Dursleys' treatment of older Harry; I mean, his "room" was a cupboard under the stairs! I was thrilled when Hagrid turned up to take Harry away from those awful people, plus Hagrid remembered Harry's birthday! ♥ And then, the magic began in earnest. My eyes devoured the Diagon Alley scenes. I was in just as much awe as Harry when he and Hagrid stepped outside the Leaky Cauldron. I loved the scene in Ollivander's and the fascinating connection between Harry's new wand and that of a certain Dark wizard. I left the movie theater that day focused on a single task: to acquire all of the HP books ASAP. And I did. And here I am almost 15 years later, still talking about Harry Potter. Rewatching the first film, it was hard to believe that nearly 15 years have gone by. I've probably seen Sorcerer's Stone that many times; it practically lived in my DVD player when it first became available in the format. Even after this many viewings, it just doesn't get old to me. I still love watching our beloved trio meet for the first time; my favorite bit in that scene is Hermione informing Ron that he has dirt on his nose, LOL. I still wish that I could have some of those yummy-looking treats at the Halloween feast. I still crack up at Hermione's notion that getting expelled is a fate worse than getting killed and Ron's comment that she needs to sort our her priorities. I still get teary during the Harry/Dumbledore scene in front of the Mirror of Erised. Speaking of Dumbledore, Richard Harris was truly perfect in that role, right down to the twinkle in his eyes. He just got the character. Hogwarts: OMGOMGOMGOMG! No more waiting for my letter to arrive by owl post! This is absolutely the first place I'm portaling to! The Night Court: Hello Feyre and Rhysand, but especially hellooooo, Rhys! XD I completely fell in love with the Night Court while reading A Court of Mist and Fury, and I NEED to see this wondrous place for myself! The world of Avatar: The Last Airbender: All of it: the homes of the Northern and Southern Water Tribes, the Air Temples, the Earth Kingdom, and the Fire Nation. ALL. OF. IT. Steampunk Victorian England: As depicted in series like Cassandra Clare's The Infernal Devices and Gail Carriger's The Parasol Protectorate. I just love this historical period, and I love the twist that steampunk brings to it. "Been kissing Pigwidgeon, have you? Or have you got a picture of Auntie Muriel stashed under your pillow?" To Sum It Up: College friends Victor and Eli are both extremely intelligent and extremely driven. Their academic research has them studying the possibility of ExtraOrdinaries, people with superhuman abilities, and what causes such abilities to develop. Victor and Eli take their experimentation to extremes, and the fallout sees Victor end up imprisoned for ten years while Eli takes it upon himself to eliminate EOs, whom he’s come to view as unnatural. Eli is about to find himself facing his former friend again, though, after Victor escapes from prison, all of his focus set on getting revenge against Eli. 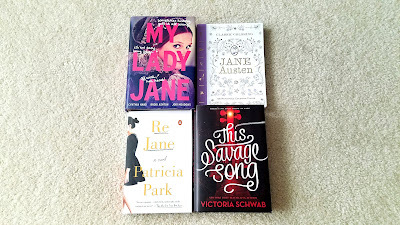 Review: Holy morally ambiguous characters! 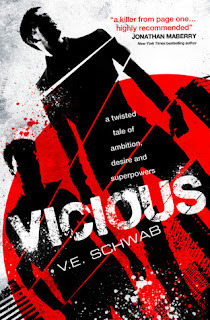 Oh Vicious—what a deliciously twisted read you were, and what a storytelling tour de force from Victoria Schwab! I was already madly in love with her Shades of Magic series before reading this, but now I’m even more in awe of her prodigious talent because Vicious is a novel of staggering ingenuity. Vicious is NOT your average superhero story. Oh no. Although it deals with the type of special abilities that might be associated with characters like the X-Men, Victor Vale and Eli Ever (originally Eli Cardale, but once you develop a superpower, an alliterative name is the only way to go) are neither your average heroes nor your average villains. There are no clear-cut good or bad guys here; instead you’re presented with a set of characters and their words, thoughts, and actions, and it’s up to you to form your own opinions of them. Me, I absolutely LOVE characters who walk a tightrope between good and bad, who refuse to be neatly classified as one or the other. I like my characters very, very complicated, not cookie-cutter, and Victor and Eli are about as complex as you can get, from their individual characters to their relationship with each other. Going back to the X-Men, I definitely felt like Victor and Eli had a Professor X/Magneto dynamic going on at times. Victor and Eli are drawn to each other’s genius and there’s a mutual respect for each other’s brilliance, but that respect is also undercut by rivalry and jealousy. One-upmanship eventually leads to the destruction of their friendship and has repercussions beyond just the two of them. After Victor and Eli perform some insane experiments using themselves as the test subjects (!) to discover what causes some people to develop superhuman abilities and become ExtraOrdinary, everything just goes to hell. Victor gets locked up for the next ten years while Eli, convinced that Victor is damning proof that EOs shouldn’t exist although Eli’s an EO himself, goes hunting them down. Eli’s unwavering belief that he’s doing good by killing EOs and therefore protecting the innocent from them is absolutely chilling. And then there’s Victor, who has his fair share of blood on his hands, too, but who doesn’t share Eli’s ideology. So would Victor be somewhat of a hero for taking out Eli, as he intends to? But Victor is more than prepared to kill to get to Eli. These are the questions that you’ll turn over and over and over again in your head as you read Vicious. The science behind EOs is really well done here. That kind of stuff can really be hit or miss with me, typically miss. Vicious, however, hits the sweet spot when getting technical. There’s just the right amount of explanation, neither too broad nor too overwhelming in detail. The existence of EOs feels entirely plausible, as does the science that produces them. As if there wasn’t already a multitude of things to gush about with this book, I must add its narrative structure to that lengthy list. Vicious jumps back and forth between Victor and Eli’s college days in the past and their impending showdown in the present, with a few important stops along the way. It’s extremely effective in building up the suspense and tension as you wait for these two former friends turned adversaries to face each other once again. It’s that anticipation, the absolute need for this clash to happen, that produced some frenzied page-turning. My brain is still reeling from reading this. Vicious challenges the notions of good and evil in every possible way with characters who defy moral categorization. And I savored every single page of it! Vicious was precisely my type of tale—dark, unconventional, witty, and its characters teeming with every shade of gray imaginable. All in All: What a perfect way to kick off the second half of 2016! Vicious is easily one of my favorite books of the year, and one I won’t be forgetting about for quite a while yet. The most badass villains of all have teamed up in a bid to takeover ALL the magical realms and our world is in danger in the process - Who are these troublesome bad guys and girls? Voldemort: It's scary enough to think of old Voldy taking over the wizarding world, but it's absolutely terrifying to think of him ruling any others, including the Muggle one, too! Apocalypse (X-Men): Most of what I know about the X-Men I learned from watching the 90's cartoon, lol, and there was a multi-episode arc featuring Apocalypse, who's also the villain of the most recent X-Men movie. In the cartoon, Apocalypse kidnapped a bunch of mutants with psychic abilities in the hopes of using their powers to control time itself so he could do whatever he wanted with the universe. So I can totally picture him trying to take over every magical realm in existence. Loki: This sounds exactly like his brand of diabolical plan, lol. The Joker: Wouldn't he just love to wreak havoc not just in our world, but in other ones as well? I am so excited to write this post, and really, I don't know why I didn't think to write it during last year's event. Let's see if I can get through composing this post without taking multiple laugh breaks; I'm not very optimistic about those odds! I immediately knew I was going to love the twins the second I met them in Sorcerer's Stone, when Fred tricked Mrs. Weasley into thinking that he was George for a moment. "Honestly, woman, you call yourself our mother?" still makes me chuckle. In Prisoner of Azkaban, when the twins imitate (and mock) Percy's overly formal greeting to Harry in the Leaky Cauldron. Getting Dudley to eat Ton-Tongue Toffee in Goblet of Fire! He totally deserved the consequences! Fred and George's effort to get around Dumbledore's Age Line surrounding the Goblet of Fire, and their spectacular failure, LOL. The skirmish that breaks out between the twins in the GoF film makes this scene even funnier! Everything to do with Weasleys' Wizard Wheezes! U-No-Poo—BAHAHAHA!! Yes, I am easily amused by toilet humor. I also love how Ron tries to score a discount on merchandise for being their brother, and the twins refuse him! The first Deathly Hallows movie takes the humor even further, with Fred and George actually raising the price on poor Ron, LOL. I've saved my absolute favorite Fred and George moment for last—their unforgettable exit from Hogwarts. Harry needed a diversion so he could break into Umbridge's office and use her fireplace to talk to Sirius, and did Fred and George ever deliver on the diversion. The Portable Swamp is my favorite invention of theirs, and just the mental image of Filch and Umbridge failing to dispose of it brings me such immense joy. I was a bit bummed that the Portable Swamp didn't make it into the Order of the Phoenix film, but Fred and George's big screen departure made its own lasting impression. What Fred and George moments made you laugh the most? Would You Finish Your Studies in Your 5th Year, or Would You Go on Until the 7th Year? To Sum It Up: Lady Preshea Villentia has buried four husbands, earning her the nickname the Mourning Star and quite the notoriety to go with it. Her lethal reputation is not entirely unfounded, however, as Preshea has, in fact, been thoroughly trained in a variety of deadly arts. Her current mission finds her thwarting an unsuitable love match and a possible assassination. Preshea is accustomed to walking into danger, even if it is at a house party in the country, but perhaps the biggest threat she faces is having her heart stolen. 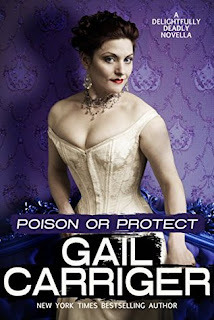 Review: Gail Carriger’s works are always a hoot to read, so of course I had to snap up her new novella, Poison or Protect, which takes place in her Victorian steampunk/paranormal world. The novella is set between Carriger’s YA Finishing School series and her adult Parasol Protectorate series and features Lady Preshea Villentia (née Buss), one of the characters from Finishing School. Preshea has gained quite the scandalous reputation since leaving Mademoiselle Geraldine’s Finishing Academy for Young Ladies of Quality; four dead husbands have earned her the moniker the Mourning Star. But then, Preshea’s education was just as focused on the arts of espionage and assassination as it was on perfecting a curtsey. In Poison or Protect, Preshea gets the opportunity to flex her formidable skills at a country house party, where she crosses paths with Captain Gavin Ruthven. The chemistry between these two is instant and an absolute delight to watch evolve. There’s so much more to Preshea’s character than society’s perception of her as a widow four times over, and kind, patient Gavin realizes that. He’s truly a gentleman, of the sort that induces intense swooning. Gavin and Preshea are also well-matched wit-wise, and their verbal exchanges will have you smiling throughout. I often hesitate to read novellas because I’m afraid they’ll end too soon. Poison or Protect, however, makes maximal use of every word. I was extremely impressed with how much story this novella packed into its pages. The plot is perfectly paced, and we get to spend plenty of time becoming acquainted with its characters. For fans of Carriger’s other series, there may be a surprise cameo or two. And you can absolutely read this even if you’ve read none, some, or all of Carriger’s previous books. I LOVED Poison or Protect. I laughed, I swooned, and I occasionally had to put the Kindle down to crank up the AC because this splendid little story gets quite steamy, and not from the steampunk. I can’t recommend this novella enough; it’s brimming with humor and intrigue and will utterly charm you. All in All: Gail Carriger’s foray into adult romance is a smashing success! I hope she has a lot of these Delightfully Deadly novellas planned because I plan on reading every single one of them! Homer Simpson: This guy has made me laugh so many times for over 25 years. Of course he had to be my #1 pick. Fred & George Weasley: There was no way, no way I was choosing one twin without the other. Would it be possible for them to do a live demonstration of the Portable Swamp? Percy Jackson: I was browsing through Percy Jackson's Greek Gods in a store, and just the few snippets I skimmed had me cracking up in public and convinced me that I needed to own this book. Percy riffing on the Greek gods and goddesses in front of an audience would be fantastic. Cole St. Clair (The Wolves of Mercy Falls): And the snark continues with Cole! I LOL'ed my way through Sinner in large part due to this guy. Give Cole a crowd, and he'll bring down the house. Maybe literally, because trouble has a way of following Cole around. Hello, fellow Potterheads! 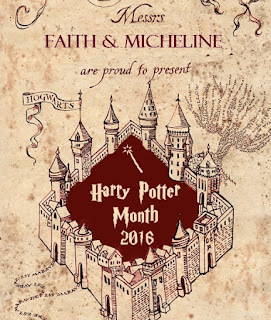 I'm THRILLED to be participating in Harry Potter Month again! Last year was so much fun, and I'm looking forward to another fantastic event this year! Year I Discovered HP: 2001, the year the first movie adaptation released. It was seeing Sorcerer's Stone that finally got me to start reading the books. Character I Most Identify With: Hermione Granger. She's a kindred spirit, for sure. Books are life for us! And I think I would be more horrified by the prospect of getting expelled from school than getting devoured by a three-headed dog, especially if the school in question was Hogwarts! Character I Wish I Were More Like: Luna Lovegood. Luna is such a free-spirit and lives in the moment. I'm always running around at a million miles an hour stressing over something, lol. Kiss, Kill, Marry (Marauders Edition): I think it's safe to assume we'd all kill Wormtail, right? XD So the choices are between Sirius, Remus, and James. I'd marry Sirius, kiss Remus, and, sadly, I'd have to kill poor James. Not proud of that last one, but I'm definitely marrying Sirius! If anyone would like to do a similar post, please feel free to—I'd love to check yours out! :D Also feel free to change up the list items! 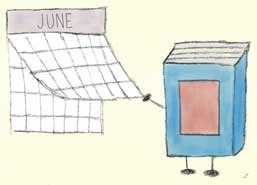 I'd hoped to keep my reading momentum from May rolling into June, but I kind of stalled. Falling asleep on the couch with a book open in my lap, on weeknights in particular, was kind of the story of my life for the month and why I didn't get a whole bunch of reading accomplished, lol. Overall, though, June was a very good month, mostly because I got to stand in the presence of Ms. Maggie Stiefvater! I still have to look at the pictures from that night and my signed copy of The Raven Boys to remind me that it really happened. I also turned another year older in June and am officially a year away from a milestone number. That number is not 30. :O Oh how I wish that I were 30 and that I could get a do-over on so many things. Ah, well, enough depressing off-topic talk and back to books! My review for this is going up on Monday, but in a nutshell, Poison or Protect is vintage Gail Carriger: uproariously witty and brimming with fantastic characters. This one is also utterly swoon-worthy. Gavin tried not to stare at the lobster. He decided not to inquire further. Whatever Jack's reasoning, best to accept that crustaceans were necessary to his view of the world.